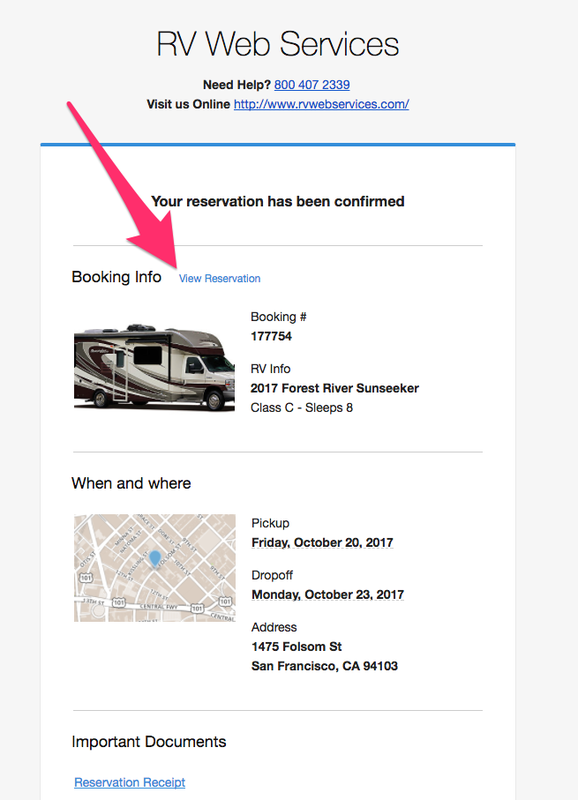 Your renters can manage their booking online by clicking on a link in the Reservation Confirmation email, or in the email they receive when you use the SEND RECEIPT (see below) button at the top of a reservation. 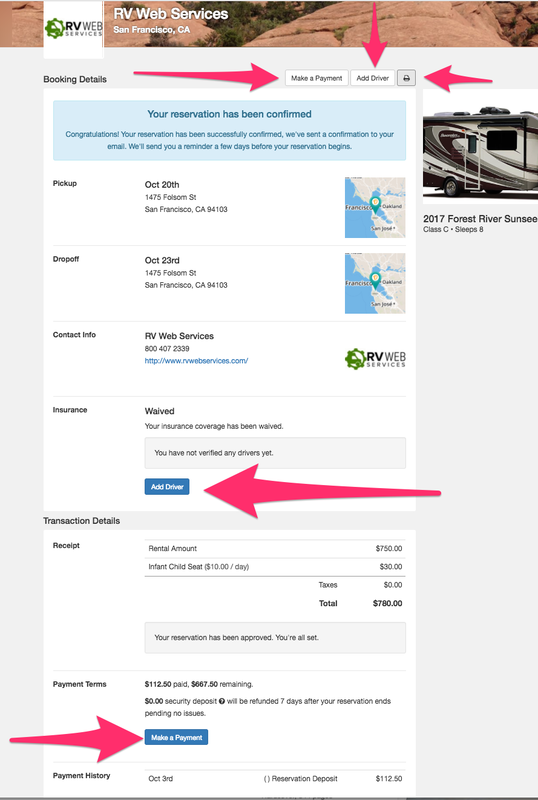 Once your renters have the emailed receipt or the Reservation Confirmation email, they need to click the VIEW RESERVATION next to "Booking Info"
This brings the renter to the online checkout screen where they can MAKE A PAYMENT, ADD A DRIVER, and even PRINT out their receipt/invoice. 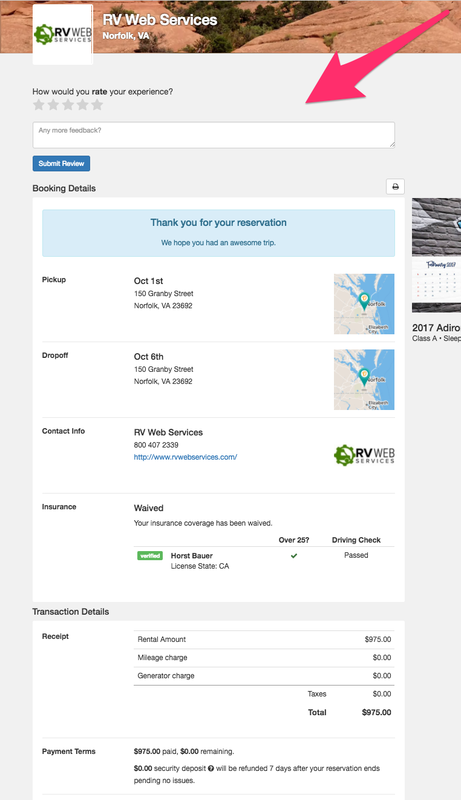 After you've checkin a reservation back in and the status shows Returned, when your renter arrives in their reservation's portal (accessible from the View Reservation link in the emails) there is now a space for them to leave a review and rate their experience (see below).